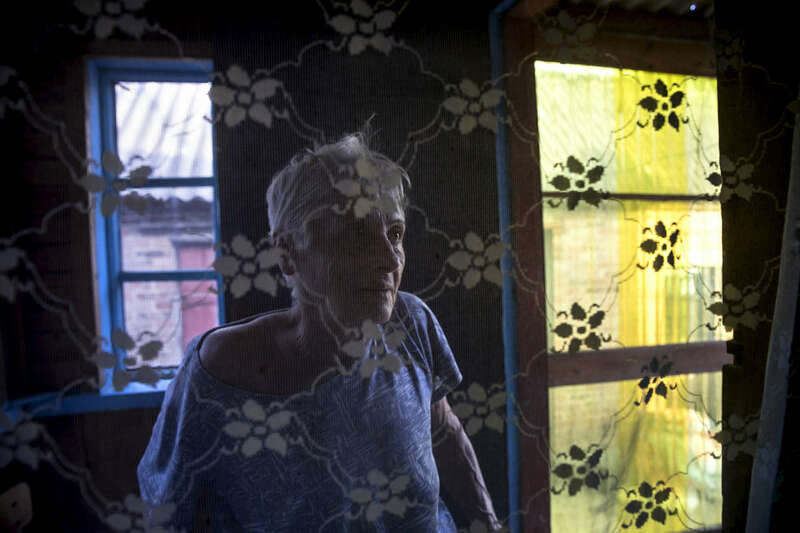 Chasov Yar, Donetsk region: Lyudmila Yevgenievna, age 64 from Chasov Yar is seen by windows at All her relatives have died and she was left alone and couldn't take care of the household and herself. The owner of the nursing home brings her to the church by car every Sunday and she stays for 3-hour service. Evgeniy Tkachev has founded the elderly care facility with his own money. He bought two private houses across the street from each other. One house is for elderly women, another for men. "I evacuate elderly people from the stress affect by the conflict. "These people have nowhere to go. They have relatives who do not care about them. They can not stay at the state-run nursing home either". 50% of the elderly here do not receive their pensions due to the loss of the documents.